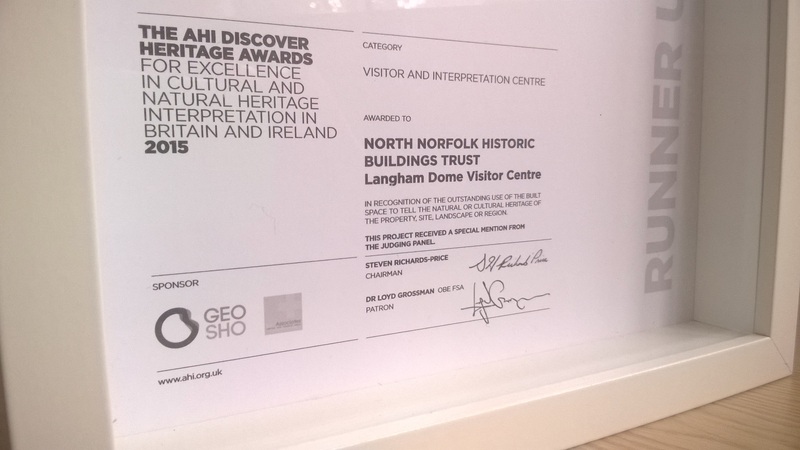 The Friends of Langham Dome (FoLD) are thrilled to have had our visitor attraction recognised at such a prestigious award ceremony as the Association for Heritage Interpretation Awards. 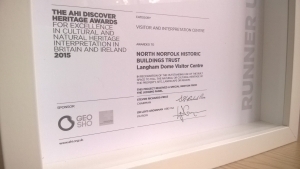 Nominated in the Visitor and Interpretation Centre category, Langham Dome was runner up and received a special mention from the judging panel. Well done to Ugly Studios and all those who helped bring together the Langham Dome project.